The Orono Biomechanical Surface Tester was developed to provide a functional comparison of racing surfaces.The OBST machine duplicates the speed, directions and loads of the leading fore leg of a Thoroughbred horse at a gallop. 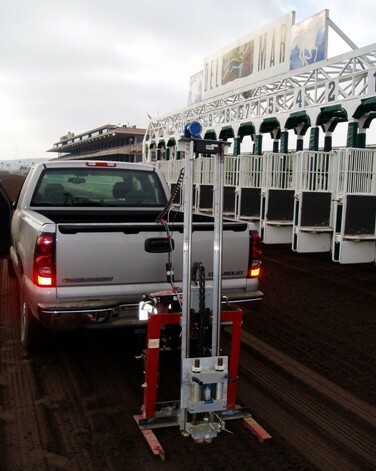 The machine which was initially funded by the AQHA Racing has now been used on more than 60 racing and training surfaces in the US and Canada. 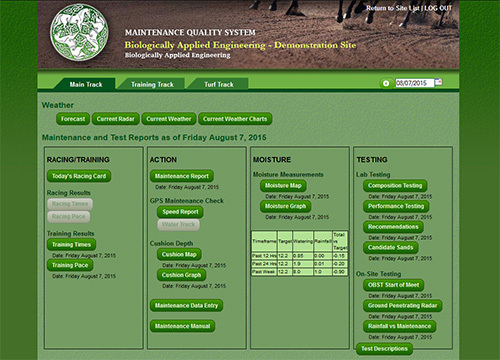 The design and software are covered by an open use agreement with drawings and software available for use by any entity willing to assist in the development of tools for the safety of horses and riders. A key element of a safe track is a consistent base and, depending on the design of the track, consistent layering of the track compaction. Ground penetrating radar is used to map the base layer of the track and to help ensure consistency of the composition and compaction. Real time monitoring of weather at the track is critical to understanding the response of the racing surface and the selection of track maintenance tools. For turf tracks the implementation of an evapotransportation model can assist in irrigation. 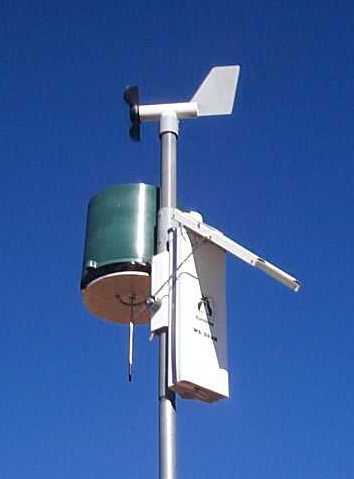 Current efforts are focused on the development of an evaporation model for dirt surfaces which uses the weather station along with maintenance information to assist in the timing of water addition. 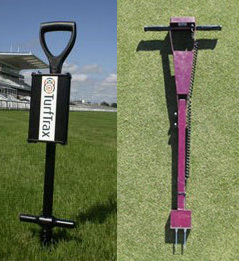 Time domain reflectometery is used to measure the moisture content of both turf and dirt tracks. This is a low cost tool that is used on a daily basis for management of the moisture content of the racing surface. The data is then uploaded using the upload tool (LINK) to the Maintenance Quality System for the creation of temporal and spatial plots of the variation in moisture content. The monitoring of maintenance is critical aspect to the consistency of racing surfaces. By providing year to year comparison which is simultaneous to the weather data acquisition the effect and the response of the surface to weather can be understood over multiple years. A range of additional tools are now in place for in-situ testing of racing surfaces. Both the GoingStick and the TDR moisture probe make use of the upload tool to transfer the data to the database for access from computers and mobile devices.